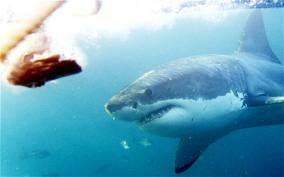 ADELAIDE, Feb 8: A man was killed by a shark today while spear fishing with friends off the south Australian coast. The 28-year-old was part of a group spear fishing off Yorke Peninsula, west of the South Australia state capital of Adelaide, when witnesses reported seeing a shark attack him at midday, state police said in a statement. Police and emergency services crews searched the area around Goldsmith Beach with boats and helicopters, but found no trace of the man, who is from Adelaide, the statement said. Police warned swimmers who flocked to the peninsula’s beaches in hot summer weather to leave the water. Australia averages fewer than two fatal shark attacks a year. Two men were killed in shark attacks off the east and west coasts in the space of a week in November last year. They were the only fatalities for 2013. The death of a 35-year-old surfer off the west coast on November 23 prompted the Western Australia state Government to begin a contentious cull of large sharks off popular beaches. The surfer was the seventh shark fatality off that state’s beaches in three years.